This post is sponsored by Oreo. I am so excited that the holidays are finally here! The magic of the season is alive and well in our home; the tree is twinkling, the stockings are hung, and the cookies will soon be made. The holidays are all about sharing, so why not share a bite-sized treat made with America’s favorite cookie this season? I'm talking about OREO cookie balls! Have you tried these delicious little morsels yet? 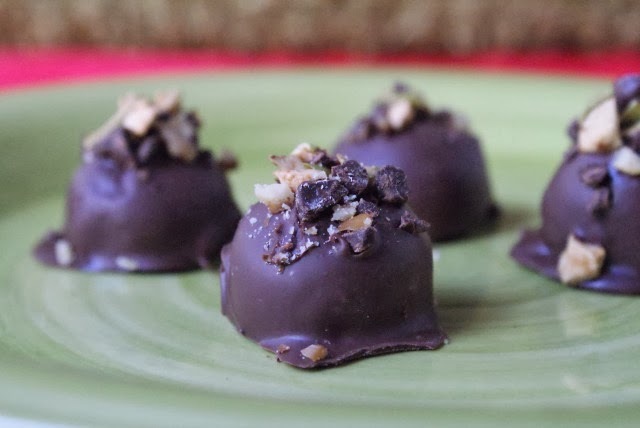 They are SO easy to make and absolutely decadent! Every year I think of making all kinds of homemade foodie gifts for my family and friends, but I always worry that the creation of some holiday treats will only add to the stress of such a busy time of year. Well, you won't have to worry about that with these rich, creamy OREO cookie balls! With just 3 ingredients and no baking, they are a breeze to whip up and would be the perfect treat to put a smile on someone's face this season. After all, everyone loves an Oreo, right? I've included a few variations of the original recipe for you, but the possibilities for making them your own are endless! You've got to try these! Shape into 48 (1-inch) balls. Freeze for 10 minutes. Dip the balls in the melted chocolate and place onto a shallow wax paper-lined pan. 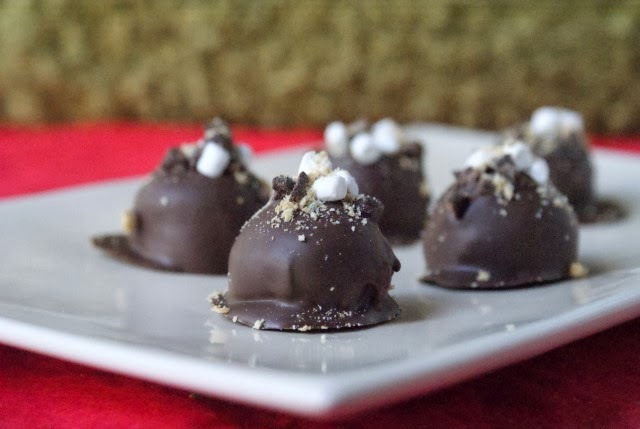 Topped with chunks of semi-sweet chocolate, graham cracker crumbs and mini marshmallow bits. Topped with chopped roasted and salted pistachios. I love the salty and sweet combo! 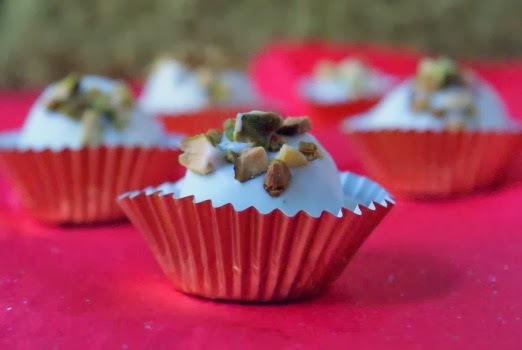 Inspired by my Baileys, White Chocolate & Pistachio Fudge. Topped with chopped walnuts, dried apples and semi-sweet chocolate chunks. As a Yummly Brand Partner, I received compensation in exchange for services rendered on behalf of OREO. Thoughts and opinions are my own. 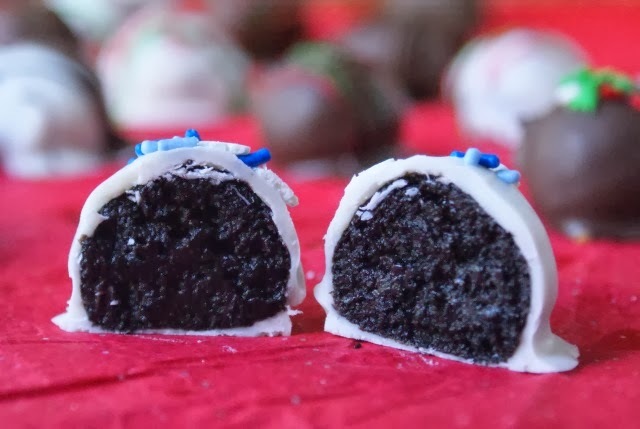 You can learn more about OREO cookie balls and find fun takes on the classic recipe at http://www.snackworks.com/recipes/desserts/cookie-balls.aspx. 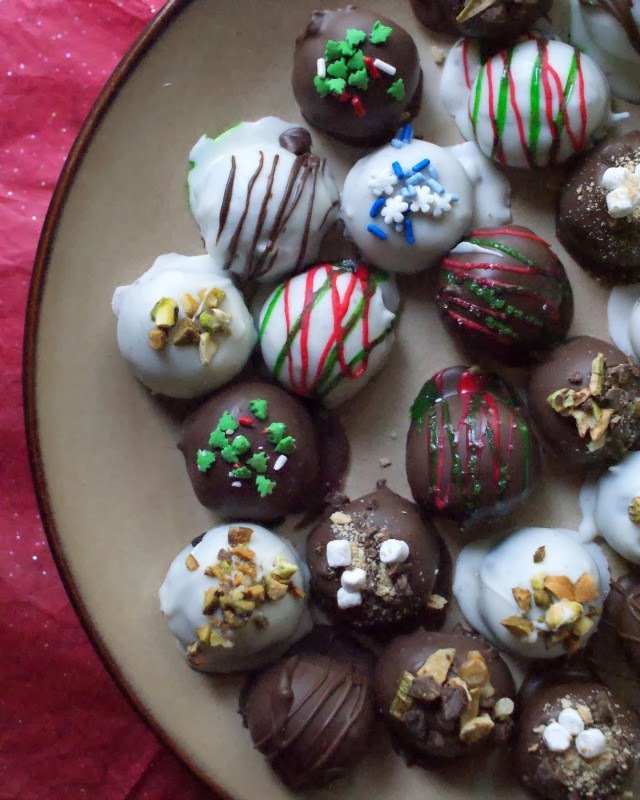 Make sure to follow @oreo for cookie ball inspiration and recipes all season long! these are so festive. i love how you decorated them!